ST. JOHN'S, Antigua and Barbuda – 6th October, 2015..........The Government of Antigua and Barbuda has learned from media reports of the arrest in the United States of John Ashe, who was Permanent Representative to the United Nations under the former government of the United Progressive Party led by former Prime Minister Baldwin Spencer. 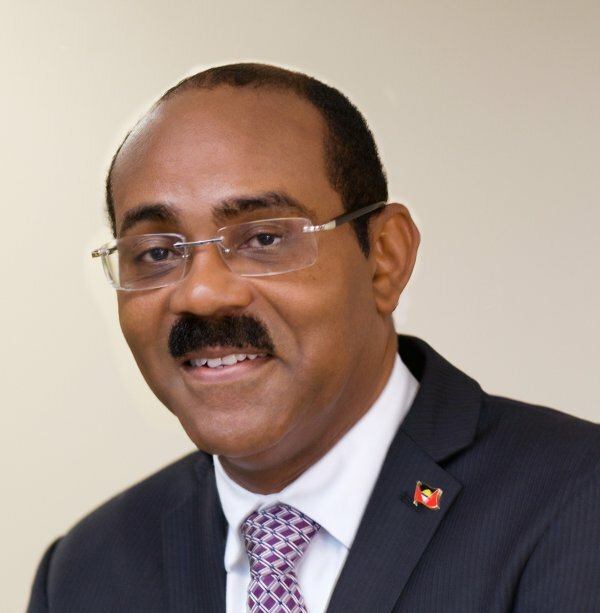 The present Antigua and Barbuda Labour Party government replaced Mr Ashe when it was elected to office in 2014. The Government of Antigua and Barbuda understands that Mr Ashe's arrest arises from charges in a bribery scheme that involved sources from another country, while he was President of the UN General Assembly. Senior officials of the former Spencer government, including Spencer himself are identified in the complaint. The complaint against Ashe, who is a resident of the United States, also includes fraudulent tax returns in the US. In addition, the Morris Bay resort will see the construction of a high end resort valued at US$120Million and Barbuda will benefit from a US$250M luxury resort for high net worth individuals. The property will be developed by a renown American Celebrity and an Australian Billionaire. Our Government pledged to treat Barbuda and Barbudans as our co-equals and we will ensure that Barbuda is developed concurrently with Antigua. This US$250M investment project will change the economic land scape of Barbuda for the better, providing investment opportunities and hundreds of sustainable jobs for Barbudans. These and several other smaller properties, will break ground in 2015, stimulating economic growth and development, thereby reversing the many years of economic misfortune. The cruise and cargo ports will be expanded and modernized to facilitate increased trade. Through assertive leadership, my government in partnership with members in the private sector have been instrumental in attracting more tourists to the island. 2015 will see a significant increase in cruise arrivals, as well as, an increase in stay over visitors. And 500 new homes will be built in 500 days across the nation. To date, we have incorporated the National Housing & Urban Renewal Company, a wholly owned government corporation and have capitalized the company primarily through private grant funding, with an initial EC$13M, and a further EC$7 million to follow in a few weeks, bringing the initial capital to EC$20 Million. The company is presently acquiring and developing land to commence construction in a few weeks. National Housing will serve as a development company and will also be involved in contracting activities in the public sector to assist with the repairs and maintenance of government buildings. Government properties that are to be rehabilitated, including the Police Headquarters, the Newgate Street Police Station Building, and Government House. Our Administration has requested concessionary funding of US$40 million from the Government of Mexico to assist in housing renewal and expansion. We are determined to rid the landscape of all those dilapidated homes that are littered across the country. It is expected that National Housing will provide several hundred jobs for citizens and residents before the end of the year and thousands of jobs in the near future. The new University College of Antigua and Barbuda will be launched at Five Islands, a site to which the Antigua State College will be relocated. The old State College site will become a Secondary School to meet growing demand. In excess of six million dollars will be invested in the decrepit structure that stands unfinished on the college compound. Construction is expected to commence before the end of the year. Presently, we are pursuing sustainable strategies to resolve the water crisis that has plagued our country for the past year. This includes the acquisition of a mobile reverse osmosis plant to service the English Harbour area, as well increased production from, SembCorp and APUA existing water production facilities. We will rebuild our country. We will provide hundreds of jobs within our first few months in office. We will put our people back to work and provide them with good quality housing. And, in that rebuilding there is a place for every willing citizen and resident of our country. No one will be left behind. One of the architects of the new Antigua and Barbuda is the venerable, emeritus leader of the Antigua & Barbuda Labour Party, the Honourable Lester Bryant Bird. Sir. Lester was an outstanding athlete during his youth. He was an outstanding cricketer, a footballer, and he earned his spurs in high jump and long jump. He subsequently graduated from Grays Inn, London, as a lawyer before returning home to Antigua to practice law. He served our country in excess of 40 years as a Parliamentarian, including18 as Deputy Prime Minister and 10 as Prime Minister. The Honourable Lester Bryant Bird is a heroic figure in our recent history. Unarguably, he has made the second single largest contribution to the socio-economic advancement of our country. He is the father of modern Antigua & Barbuda. In recognition of his contribution and keeping with the authority vested in the Prime Minister by The National Honours (Amendment) Act 2000, the Governor General has been advised, with the concurrence of Cabinet and the Honours Committee, to confer upon this great citizen of Antigua and Barbuda, during the 33rd Anniversary of our country's Independence, the honour of Knight Companion of the Most Exalted Order of National Hero. I am certain that Antiguans and Barbudans consider Sir Lester most deserving of this honour and also share the enormous outpouring of love and admiration that we all hold for this outstanding son of the soil. He will enjoy his flowers while still alive. My fellow Antiguans and Barbudans, Independence is not just a word or a concept. Independence is what gives us the right to make our own decisions as a nation; the privilege not to bend our knee to any but God; the opportunity to claim our entitlements in the international community and to resist the pressures and demands of external forces. But, we will not preserve our independence like large nations with military might; we can only defend it and enlarge it by economic success. That is why we all have to work together; strive together and achieve together. That is why we must work in unison in the transformation of our country into an economic powerhouse in the Caribbean. Independence is a time for rejoicing and reflection on past challenges and achievements. It is also a time to look to the future. The Antigua and Barbuda we want for our children and their children is one that perpetually rises – producing jobs, and communities free of crime. We want an Antigua and Barbuda where everyone can share in prosperity; where opportunities are available to all who are willing. Achieving those worthy goals is within our capacity and within our reach. Let us make this 33rd Anniversary of Independence, a celebration of Team Antigua and Barbuda, and all that our nation can achieve as one. I am happy to lead this team and to lead by example of hard work, sharp focus and a resolve to deliver. I invite you all to join me, in what for all of us, will be an exciting, dynamic and wholly beneficial journey in the advancement of our nation. God bless our beautiful twin island state.